When we get on fire for Christ and our faith, we find that just going to Mass on the weekend is not enough. Our parish offers many different ways to help you grow in your relationship with Christ and live out your faith in a deeper way. Please click on the descriptions below to see how you can get involved! Offering beautiful worship to God in the holy sacrifice of the Mass. Sharing the Good News of Christ, within our parish and in the community. Serving others as Christ served, within our parish and in the community. 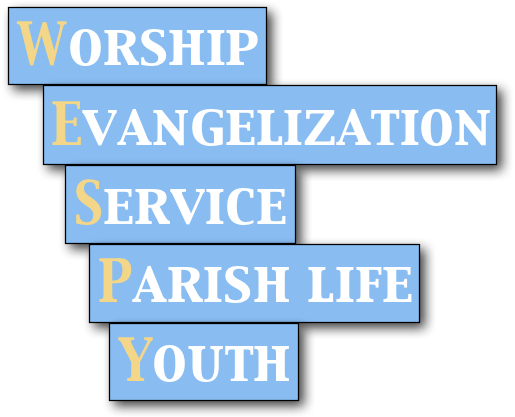 Building up the local body of Christ in our parish family. Helping our young people to fall in love with Christ.